The University of Pennsylvania in Philadelphia, founded by Benjamin Franklin himself in 1740, has a tremendous heritage. The university was the first to open a school of medicine, among a variety of University of Pennsylvania majors. The University of Pennsylvania in Philadelphia is well known for its Wharton School of Business where Elon Musk and Donald Trump are notable graduates. The University of Pennsylvania ranking is also continuously high. It’s therefore of little surprise that the University of Pennsylvania in Philadelphia continues to make bold impacts in today’s world. Through strong leadership, creative innovation, and inclusive diversity, the University of Pennsylvania in Philadelphia is creating the world’s future. No matter what ranking article you look at, one thing is for sure, the University of Pennsylvania ranking is high in almost all categories. They are ranked number one in undergraduate business, finance and real estate programs by U.S. News. They also recognized Wharton as the number three business school in the United States following Harvard and the University of Chicago. Nice rankings spot them as best colleges for accounting and finance, nursing as well as number three in communications, film and photography and philosophy. According to The World University Rankings, the Univesity of Pennsylvania in Philadelphia is ranked number 12 globally and number 10 in the United States. And, Forbes ranks it as number seven in their top colleges. The university boasts a student population of nearly 25,000 and only admits 9% of its applicants. David L. Cohen is not only the university’s Board of Trustee’s chairman, but he is also senior vice president of Comcast. In his opinion, Amy Gutmann, the longstanding president of the University of Pennsylvania in Philadelphia, is the best in the nation. Holding a doctorate in political science from Harvard, Bold Leader Amy Gutmann is a true champion of innovative change and progress. In addition to co-authoring The Spirit of Compromise, she oversees more than 25,000 students in diverse University of Pennsylvania majors. In total, the University of Pennsylvania in Philadelphia includes 12 colleges with a budget of $9.2 billion. Amy Gutmann has been the University of Pennsylvania in Philadelphia’s president since 2004. Currently approved as president through 2022, she stands to become the longest-tenured president in the school’s history. Over her tenure, she has raised over $7 billion in school endowments, which now approaches $14 billion. She has also expanded the number of University of Pennsylvania majors programs and partnerships greatly. The university is now the largest private employer in Philadelphia. It’s not surprising Amy Gutmann will be receiving the Inquirer’s Business Hall of Fame Icon award later this year. 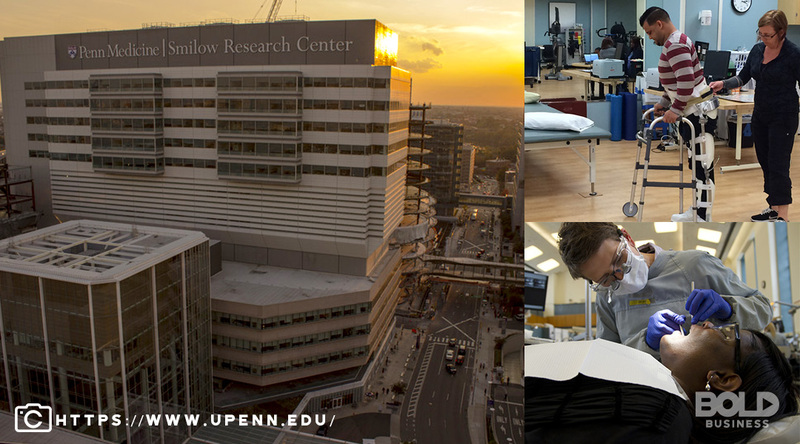 The University of Pennsylvania in Philadelphia has been a beacon of light when it comes to innovation. Recently, researchers at the university received a $10.7 million grant to study cutting-edge T-cell therapy in solid tumors. Cabaletta Bio, a spin-off enterprise launched by two university researchers, is actively exploring innovative immunologic therapies as well. The University of Pennsylvania in Philadelphia’s health system partnered with Independence Blue Cross to reduce hospital readmissions by 25 percent. Essentially, in all University of Pennsylvania majors, creative explorations are a central focus of discovery. The University of Pennsylvania in Philadelphia continues to create bold impacts on a global scale. Of course, Amy Gutmann has played a significant role at the University of Pennsylvania in Philadelphia’s pursuit of innovation. Under her leadership, the $35 million Pennovation Complex was constructed. This innovation center is specifically for University of Pennsylvania majors in entrepreneurial areas to explore new ideas. The nanotechnology further complements this. Amy Gutmann launched a unique program to encourage graduating seniors to explore world-changing ideas. 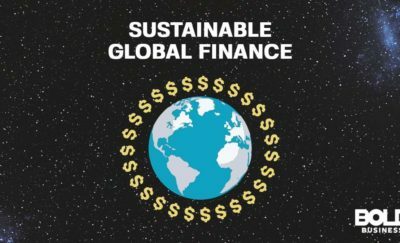 In the program, seniors graduating with University of Pennsylvania majors can earn $150,000 in grants annually for benevolent global initiatives. 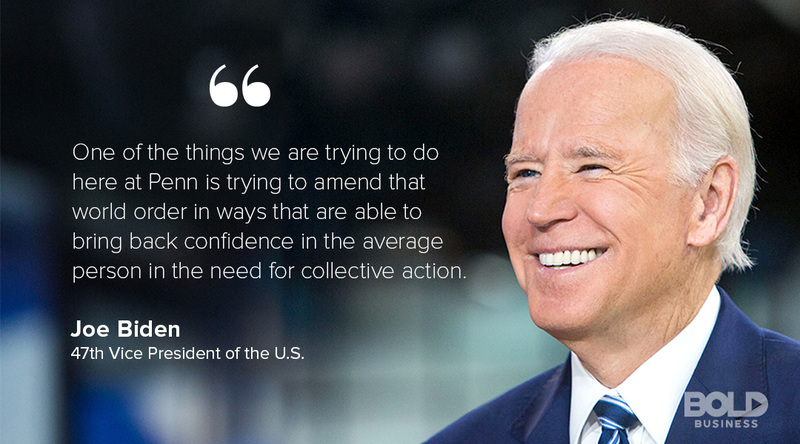 Joe Biden reveals that he is more optimistic about the future state of the US and the new generation than he’s ever been in his time. As an Ivy League school, the University of Pennsylvania in Philadelphia is not without its critics. Notably, due to tuition requirements, many groups of students have lacked access to University of Pennsylvania majors. However, this is also changing under Amy Gutmann’s leadership. Through financial aid and grants extended to students in need, the number of low-income university students continues to increase. Additionally, the number of 1st-generation college students is now one of every seven, increased from one in every 20 previously. Amy Gutmann, the longest-tenured president in the history of UPenn. The diversity and inclusion efforts at the University of Pennsylvania in Philadelphia do not stop here. In the last few years, ethnic minorities now hold positions as provost, vice provost, and college deans. Interestingly, major pursuits have been made in areas of political diversity and inclusion. 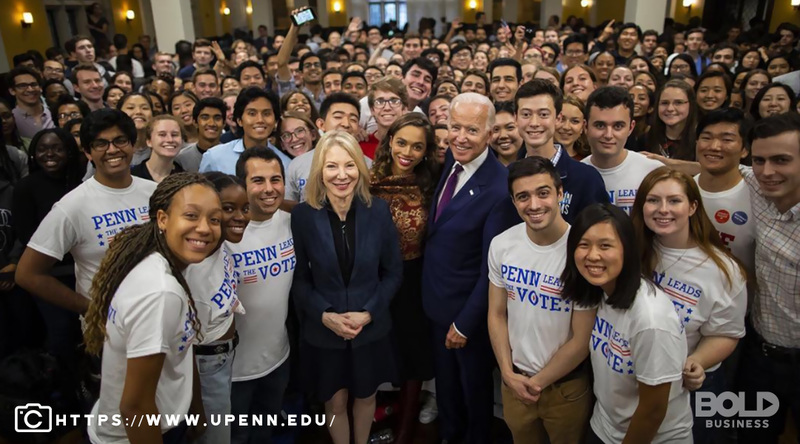 Amy Gutmann reached out to both Joe Biden and Jeb Bush to participate as lecturing professors at the university. Responding to criticisms that today’s universities are too “left-leaning”, a balanced approach was pursued. In doing so, the diversity divide has decreased with the help of these well-known politicians. The University of Pennsylvania in Philadelphia–thinking beyond its time– was the first to open a school of medicine. Many organizations often resist change, but the University of Pennsylvania in Philadelphia invites it continuously. While the culture within the university fosters diversity, inclusion, and innovation, these philosophies extend outside the campus. As Amy Gutmann has demonstrated, the “spirit of compromise” is alive and well. Through teamwork and collaboration among diverse team members, innovation and creativity thrive. These approaches are needed to solve some of the world’s toughest problems — and the University of Pennsylvania in Philadelphia continues to lead the way in this regard.